Whooping cough, also known as pertussis, has reached "epidemic levels" in the state of Washington, health officials say. As of March 31, the state had 640 cases compared to 94 cases at the same time last year. This could put Washington “on-pace to have the highest number of reported cases in decades,” according to the health department's press release. There have not been any reported deaths, said a spokesman for the health department. The state had two whooping cough deaths in 2010 and two in 2011. Whooping cough is a highly contagious disease caused by bacteria that can lead to severe upper respiratory infections. The bacteria spread in tiny droplets when an infected person coughs or sneezes. Symptoms can resemble a cold at first, but as the disease persists, it may cause severe coughing attacks that end with a high-pitched whooping sound. The disease is preventable through a vaccine, which is given to children through a series of five injections from 2 months to 4 or 6 years of age. Whooping cough is most serious in infants, especially when they’re too young to get vaccinated or aren’t fully protected yet. Even after all five shots, the childhood vaccine doesn’t protect you for life. Booster shots are recommended after age 11 and every 10 years during adulthood through the Tdap vaccine, which also protects against tetanus and diphtheria. Health officials recommend anyone with close contact with babies to get up-to-date with their shots. 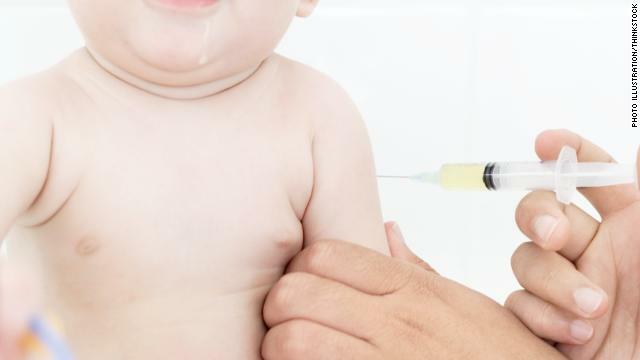 However, some parents choose to not vaccinate their children or, in other cases, vaccinated people lose their immunity because the vaccine has worn off. Washington health officials have started airing a public service announcement that features a mother who lost her baby to whooping cough last year. The PSA can be heard here. In 2010, whooping cough infected 9,000 people and killed 10 infants in California, in the worst outbreak in the state in 60 years. California passed a law requiring all students in the 7th to 12th grade to get the Tdap booster shot. Use vicks on your sore feet today before its to late. I'm no longer positive the place you're getting your information, however good topic. I must spend some time finding out more or understanding more. Thanks for great info I used to be on the lookout for this info for my mission. What i do not realize is if truth be told how you are no longer actually much more neatly-liked than you might be right now. You're very intelligent. You recognize therefore significantly with regards to this subject, made me personally imagine it from so many numerous angles. Its like men and women are not interested until it�s something to do with Girl gaga! Your individual stuffs nice. All the time care for it up! She is getting so big!! What a doll! Regarding the eye, I would metoinn it the next time I was at the doctor there may be exercises you can do if it really is lazy, or they can refer you to a pediatric eye doctor or just tell you to watch it. She still is so young but persoanlly I always like to be on top of things too! Have fun with your angels!! Glad they are feeling better! obviously like your website however you need to take a look at the spelling on several of your posts. Many of them are rife with spelling problems and I find it very troublesome to tell the truth however I'll definitely come back again. Some useful bits of information here, thanks very much! Not sure this is accurate: "Booster shots are recommended after age 11 and every 10 years during adulthood through the Tdap vaccine, which also protects against tetanus and diphtheria." According to the CDC, only one TDaP is needed in adulthood, not every 10 years. You can replace one of your tetanus shots with the TDap, but you don't need to get the TDaP every time.